The Brazilian half of LATAM comes from a country over 60 percent covered by the dense Amazon rainforest, so the airline does its due diligence in preparing crew for any eventuality. 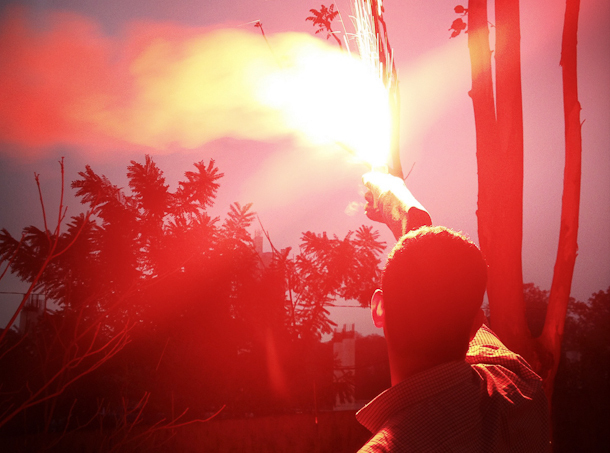 As such, the ladies and gentlemen of LATAM must pass an Amazon survival portion in their training, consisting of a hands-on course conducted in the wilds behind LATAM’s Sao Paulo training center, complete with live flare practice, demonstration of using debris to signal to search planes, and instruction on building a makeshift lavatory. It’s now well known that Etihad’s Airbus A380s each boast a three-room, dual occupancy “suite” dubbed “The Residence”. Headlines since its debut in 2014 tout everything from the private bathroom with shower, the hand-knotted carpets, the personalized concierge service in partnership with Ten Group, and the dedicated service of a butler trained at The Savoy. Though the butler is but one item on a list of The Residence’s amenities, he or she is a supremely singular feature of the super-first-class service with a serious background. 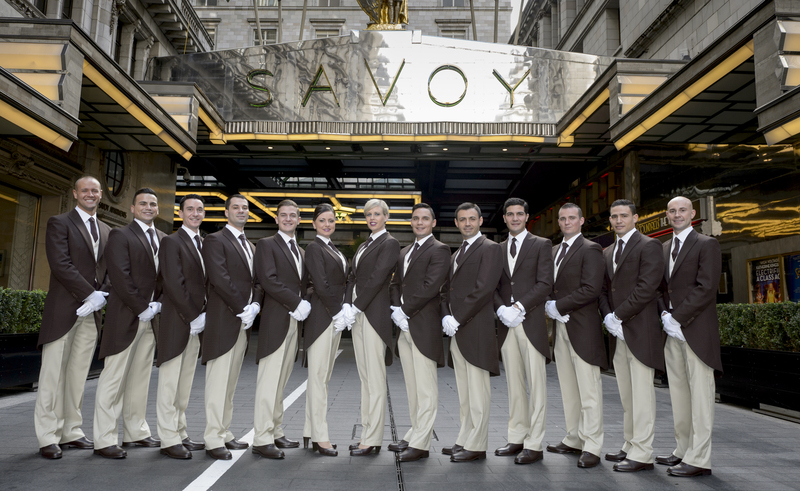 Butlers onboard the A380 are chosen from among Etihad’s best and brightest cabin crew, usually Food and Beverage Managers or In-Flight Chefs, and are sent to London to train for three intensive weeks with The Savoy’s head butler in conjunction with the University of West London. They then work, as butlers, in the prestigious hotel, proving their chops before returning to the skies above Abu Dhabi with mastery of “international protocol and etiquette, VIP guest care, valet skills, luxury food and wine service standards and organising travel arrangements”. 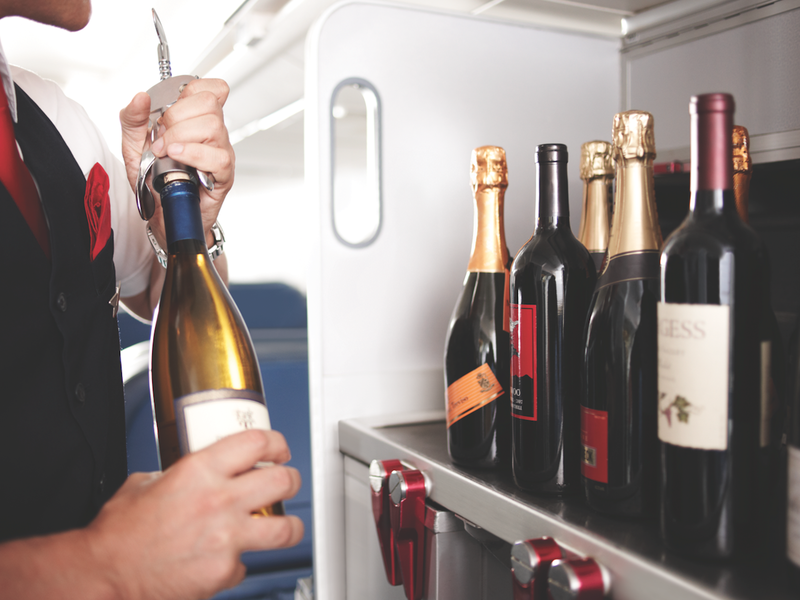 A silver, wine bottle-shaped pin on the lapel of a Delta flight attendant marks a member of the cabin crew with the official title of “Sky Sommelier”. To become a trained inflight oenologist is more than knowing a Chenin Blanc from a Pinot Noir. Sky Sommeliers closely train with Delta’s culinary team, particularly Master Sommelier and head of Delta’s onboard wine program, Andrea Robinson. As well as assisting with regular cabin crew duties throughout a flight, they’re charged with providing passengers a premium inflight dining experience through education of the onboard wine program. They can just as easily describe flavor notes and the history of wineries of featured vintages as to swiftly recommend what best to pair with the filet mignon. In addition to wine training and special etiquette classes to learn the behavioral nuances of the many cultures which Singapore Airlines welcomes as passengers, the airline’s iconic Singapore Girl is encouraged to spend her off hours making use of the airline’s fitness center, pool, classes, and groups. There’s a club for almost every major sport, including cycling and dragon boat racing. The extracurriculars not only help keep the crew tucked into their tight sarong kebaya uniforms, but promote flexibility. The favorite is the martial arts club, which training crew to become black belts in the quick and agile art of taekwondo. The signature red lip, red heel, and sharp silhouette of their Vivienne Westwood uniforms are a hallmark of Virgin Atlantic flight crew, but the effortless appearance belies the fact that it’s a carefully constructed look backed up by “Runway”, the airline’s employees-only handbook strictly on style. Reading like a fashion magazine more than a code of conduct, “Runway” details how to wear every single uniform piece for every member of Virgin Atlantic staff—from the Clubhouse bartenders on out to the hangar mechanics—and even recommends how best to get beauty sleep (add a drop of lavender or eucalyptus oil to a pot of water on the radiator in winter!) and how to stop static (rub a wire hanger over the garment!). Even though I’ve had a peek at the section on hairstyling, I still envy the flight attendant’s mastery of the sophisticated French Twist. Stepping onboard an Hawaiian Airlines flight is, from that first hello at the boarding door, like being in Hawaii itself. That’s the vibe the airline aims for, serving complimentary Mai Tai cocktails and local Hawaiian snacks and meals during the journey, but the airline even encourages its own crew to stay in the spirit of Aloha in their free time by joining an outrigger canoe team. Staff from all levels of the airline may join, and even go on to compete at a serious level, as the Hawaiian Airlines Team Kokua does. The sport isn’t merely a hobby; the airline also sponsors several major outrigger events around the world every year, including the Sydney Harbour Challenge in Australia, the Liberty Challenge in New York, and Hawaii’s own Na Wahine O Ke Kai and the Molokai Hoe races.